AusSeabed is now hosting an updated 50 m grid that contains data from 160 new surveys carried out between 2012 and 2018. 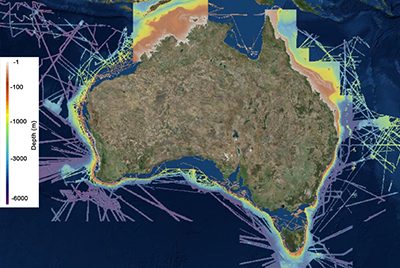 This dataset alongside the 30 m Northern Australia Grid, the 30 m Great Barrier Reef grid, and the 5 m NESP grid are available on the AusSeabed Marine Data Discovery Portal with clip and ship functionality. Seeing more of Australia's seafloor.